I remember this time, I remember being mad at the CIA for not doing anything. Then when the hostages were saved by the Canadian Ambassador I remember my Dad saying “I am so happy that the Ambassador did it, but why can’t the CIA do it for that for the rest of the hostages. What is taking so long?” It was a weird time because I remember driving and seeing yellow ribbon tied everywhere. The film captured the period really well, I was to be honest not big into politics or world issues; other than talking to my folks as we watched the nightly news. I was 18 years and I had just graduated High School and started college. I was worried about fitting in, learning my way around campus and making friends. Though I did care about hostages it was something I discussed with my Dad and in class not with my friends. Watching the movie brought the time back to me and you felt it all. It really showed what they faced and how a creative intelligent person like Tony Mendez had to create something out of thin air to save those people. I now of course realize in hindsight that President Carter and the CIA were working on it but to us at the time it seemed like they were not. Like they said in the movie and in the interviews it took till it was declassified for people to really see what happened during that horrible time. The people who stormed the embassy still deny they did it and they still say it was all just unarmed students. The regime is still in power and they hate us. It really has not changed since the late 70’s. So to say that this movie captured it all and explained it clearly would be an understatement. I think that they captured your attention from the beginning. And you really rooted for them to get out, even though you know they did, your still biting your nails. I would not only recommend it for movie fans but for student of history. 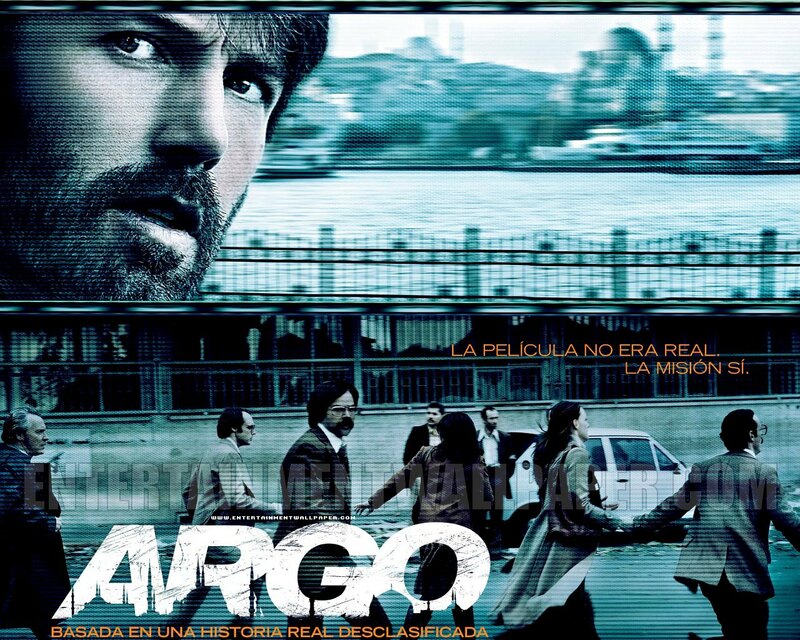 This entry was posted in Argo, Ben Afllect, CIA, movie, Tony Mendez and tagged Argo, Ben Afflect, John Houseman, Tony Mendez by rithebard. Bookmark the permalink.